2 Bedroom Upper Floor Flat For Sale in Grangemouth for Offers Over £90,000. 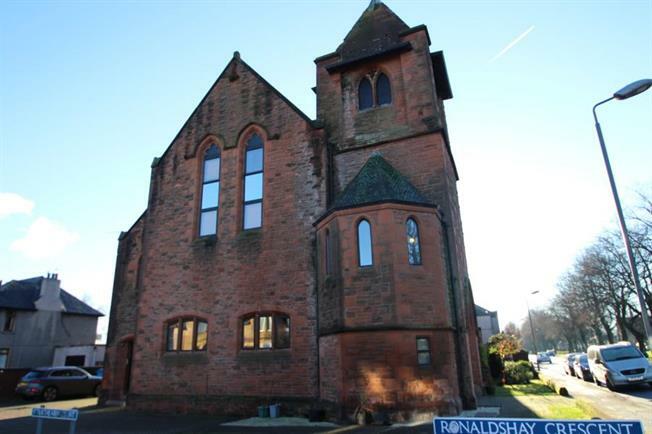 An impressive two bedroom maisonette apartment situated within a fabulous converted church building. Situated in close proximity to Zetland Park and town centre, this unique home offers stylish modern living blended with fabulous traditional architecture including exposed stone arches. This fine property is accessed through an immaculately maintained security entrance and consists of entrance hallway, well proportioned living room with exposed feature stone work, modern fitted kitchen which is partially open plan to the dining area with a feature Velux balcony. Taking the stairs to the upper level which in turn provides access to the two generous bedrooms and a stylish contemporary shower room. There is excellent storage provision including in-built wardrobes in the master bedroom. The flat also benefits from allocated parking, double glazing and electric heating. Grangemouth offers a fine range of amenities and caters for day to day needs with access to excellent shopping facilities. In addition Grangemouth offers schooling at both primary and secondary level and access across the central belt via bus and train to Glasgow, Edinburgh and Stirling city centres. There are also excellent road links to the M9 motorway again offering access to the central belt.